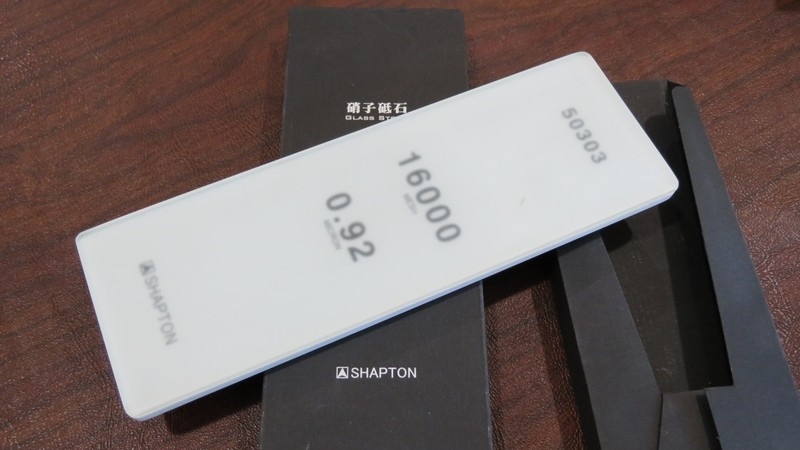 I have a set of 4 Shapton HR series, 8"x2.875", glass/ceramic Japanese water stones with field holder. Set includes 1K, 4K, 8K and 16K grit. 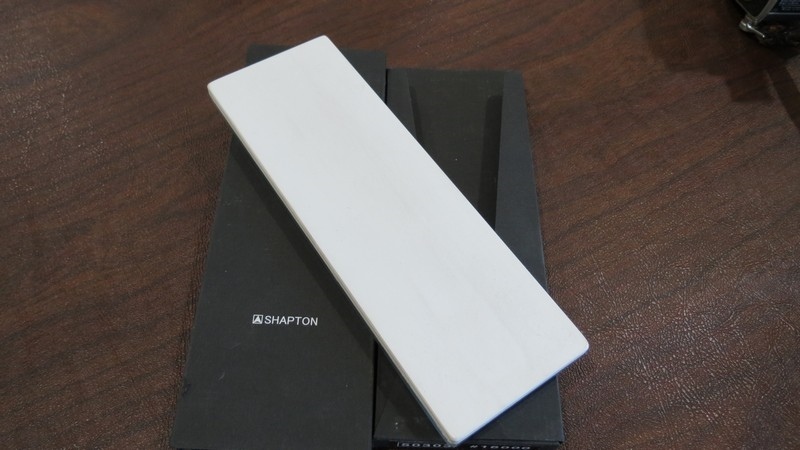 The HR series is the most versatile in the Shapton line. 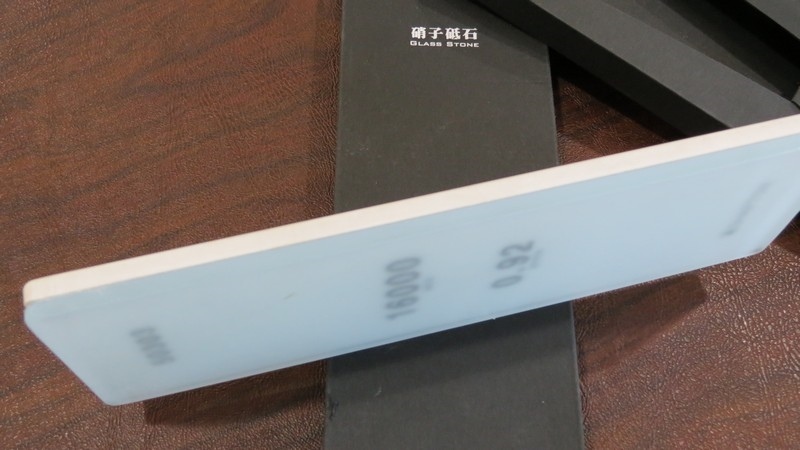 The 16K stone puts a true mirror edge on a large variety of steels, including high carbon and stainless. 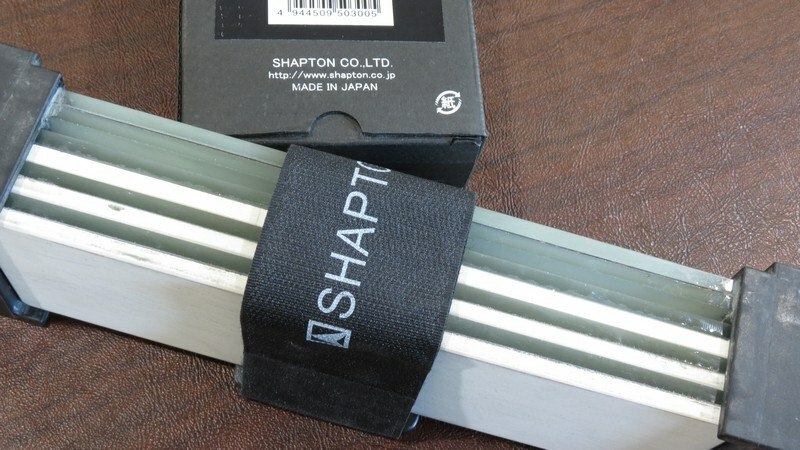 Great for filet knives, kitchen knives, woodworking tools, straight razors, Samurai swords, etc. 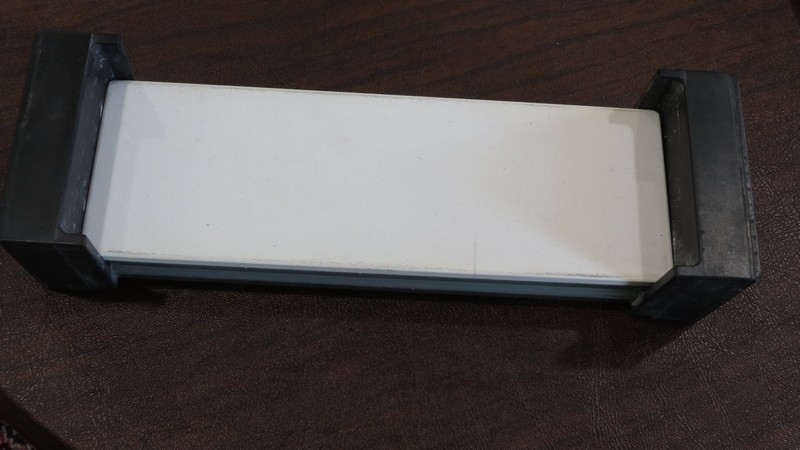 Comes with holder to store 3 stones and act as a base during sharpening. 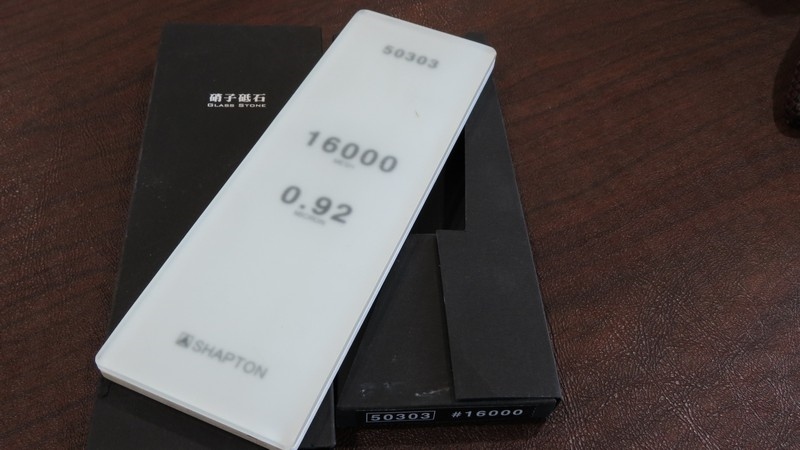 All the Shaptons have been recently flattened and have >=4.9mm of original 5mm ceramic thickness according to my micrometer. 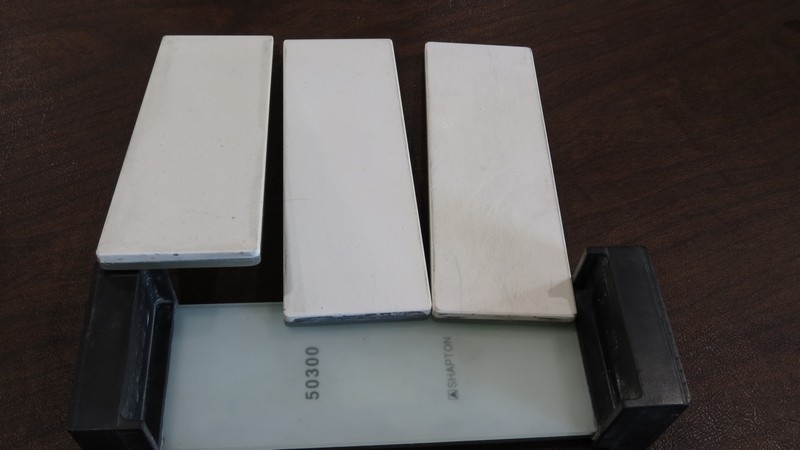 Also includes an 8"x3" Dia-sharp, diamond grit coarse stone (800 grit, not pictured) I have used for flattening. 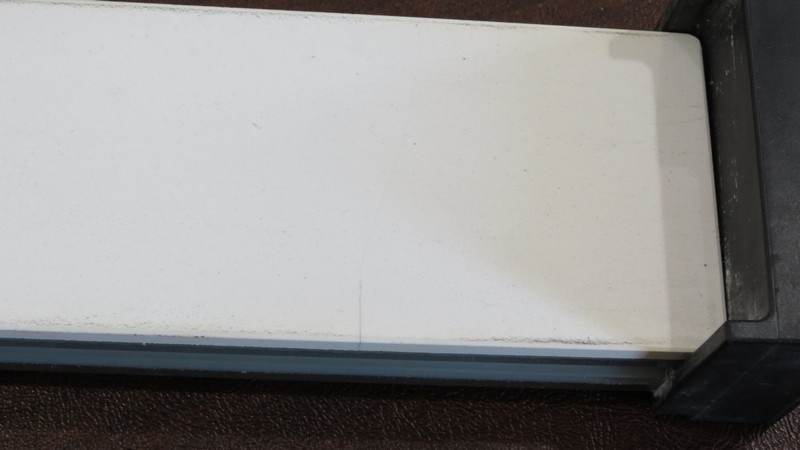 The Dia-Sharp surface is moderately worn. 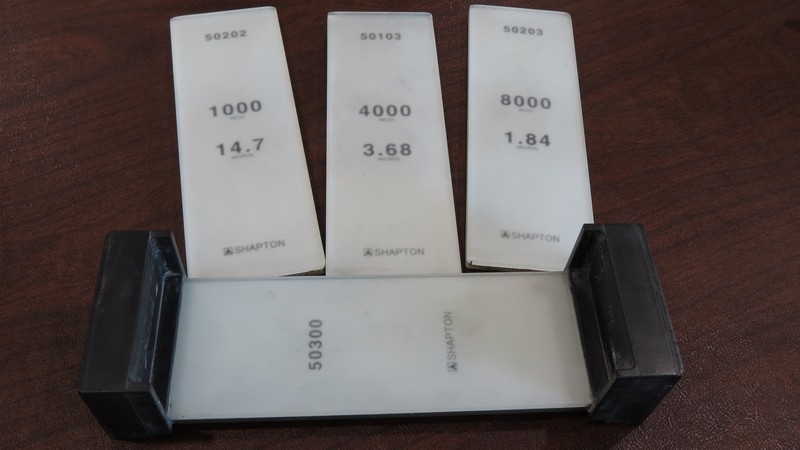 The Shaptons have been very lightly used. 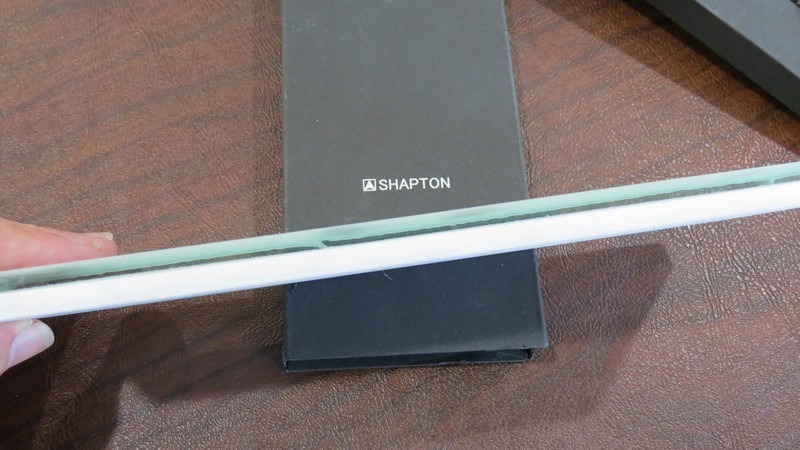 NOTE: the 4k stone (only) has a very fine, kind of diagonal, hairline crack in the ceramic layer, starting about 3" from one end, extending toward the other side about 2.5" from the end. Crack is visible one one edge, but not the other. I can't feel the crack at all and it doesn't seem to affect performance at all. 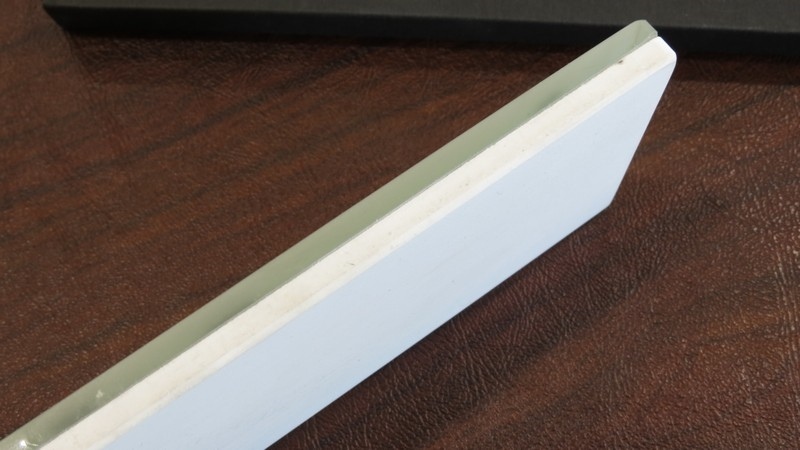 Stone is still flat and the ceramic is tight to glass. See pics. Will ship free anywhere in U.S.. Pymt via paypal. Over $500 invested. Asking $275 for everything, shipped. Will discount if picked up. Located in NW Hernando County.